Host your next event at SummerStage in Central Park, at the Swedish Cottage Marionette Theatre in Central Park, or the CityParks Junior Golf Center in Brooklyn. City Parks Foundation venues provide unique spaces with built in production teams and event staff. With a location right in the heart of New York’s Central Park, there are few comparable outdoor event experiences. 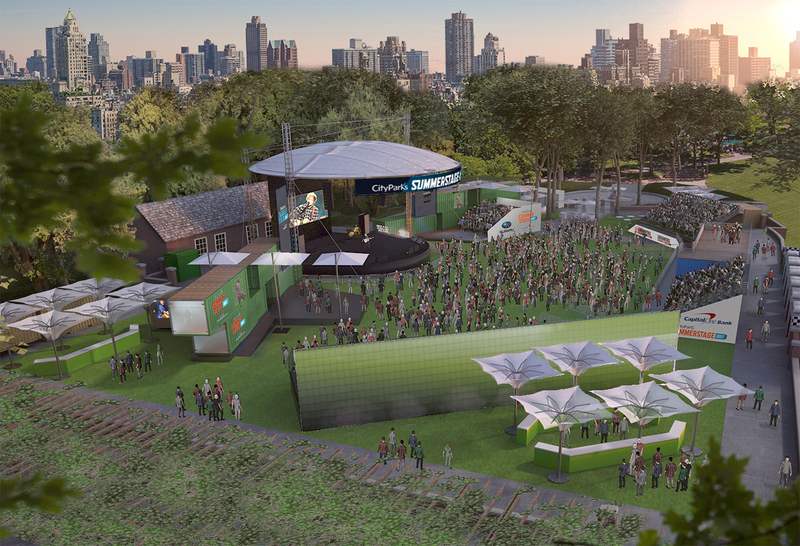 SummerStage’s unique location and stunning setting, combined with a world class performance experience is unmatched. Hosting your event at SummerStage provides access to one of New York’s most beloved outdoor summer traditions, while helping to sustain a festival that provides free and open access to world class culture for everyone. All event fees help ensure that SummerStage remains free and accessible to thousands of New Yorkers all around the city. For more information, review our SummerStage rental deck here or contact Special Events at Events@CityParksFoundation.org or 212.360.8164.